Kimi Raikkonen has extended his championship lead with a dominant performance in the Spanish Grand Prix. 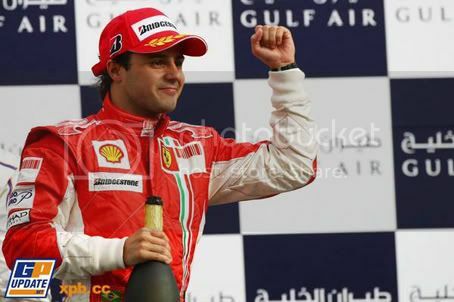 The Finn led home his team-mate Felipe Massa, scoring the perfect result for the Scuderia. McLaren’s Lewis Hamilton was able to salvage third while his team-mate Heikki Kovalainen was taken to hospital following a violent crash at Turn 9. The Kovalainen incident occurred on lap 22 when he suffered a wheel-rim failure on the left-front tyre. The Finn crashed heavily into the tyre wall and it took a while to stabilise at the accident scene, but Heikki gave a thumbs-up to the crowd as he was taken by stretcher to the medical centre. Later he was flown to hospital for precautionary checks, and his condition was described as stable. This incident ruined Nick Heidfeld’s race for BMW Sauber, as he was running a long refuelling strategy. With the safety car on track and the pit lane closed, the German had no choice but to make a pit stop. This resulted in a stop-go penalty that dropped him down the field and he finished a disappointing ninth at the flag. At least Heidfeld made it to the end, as home crowd favourite Fernando Alonso suffered an engine failure despite starting on the front row. The Spaniard was running in fifth position until lap 35 when the problem occurred… Still, he should be satisfied that the Renault team has made a significant step forward in terms of competitiveness and hopes to challenge Ferrari, McLaren and BMW Sauber in the following races. Robert Kubica continue to score points for BMW Sauber with fourth while Mark Webber drove a solid race in the Red Bull to take fifth. As for Jenson Button, he was happy to score the Honda’s team first points of the season with sixth – all thanks to a good strategy call in the pits. With Trulli down a spot, Kazuki Nakajima in the Toyota-powered Williams took seventh. This was the Japanese best race performance this season. Giancarlo Fisichella was unable to resist the charging Heidfeld, so brought his Force India home in tenth, ahead of Toyota’s Timo Glock, who delayed himself after running into the back of David Coulthard. The Scot’s left-rear tyre was cut as a result, so he also fell back but managed to re-pass Super Aguri’s Takuma Sato before the finish to claim twelfth spot. Only thirteen cars made it to the chequered flag in an unusually high attrition rate at the Circuit de Catalunya. On the first lap, Adrian Sutil tried an ambitions move on Coulthard but ended up spinning into the path of the luckless Sebastian Vettel in the Toro Rosso. After qualifying in the top ten, Renault’s Nelson Piquet suffered a nightmare race with a trip across the gravel followed by a tangle with Vettel’s team-mate Sebastien Bourdais at Turn 10 as the Brazilian tried to recover from 18th position… Both cars retired with broken suspension. Debris from Piquet’s car then punctured the radiator in Anthony Davidson’s Super Aguri, ending his race early. As for the most experienced driver in Formula One, Rubens Barrichello will want to forget the 2008 Spanish Grand Prix after damaging his car’s front wing in the pit lane. It may not have been a classic race, but it increased Raikkonen’s championship score to 29 points and his lead to nine over Hamilton (who is on 20). Felipe Massa jumps up to fourth on 18, one behind Kubica (19). Thanks to a one-two result in Barcelona, Ferrari re-take the lead in the constructors’ standing with 47, twelve ahead of BMW Sauber with McLaren-Mercedes a point behind. Ferrari’s Kimi Rakkonen recorded his first pole position of the season by snatching the top spot from home crowd favourite Fernando Alonso in a dramatic qualifying session at the Circuit de Catalunya. It was the Iceman’s 15th career pole position and with his main championship rival Lewis Hamilton down in fifth, the Finn has the advantage to extend his points lead if he wins at Barcelona. The sister Ferrari of Felipe Massa will start in third ahead of Robert Kubica in the BMW Sauber. On row three are the two McLarens with Hamilton and team-mate Heikki Kovalainen. It was a disappointing performance from both drivers and Lewis even admits that the pace of the cars ahead shocked him! The British star will need to regain his composure and mount a challenge to score some valuable points in the race on Sunday. As for Fernando Alonso, this was a fantastic achievement from the double world champion and the Renault team. The improvements to the R28 chassis over the last three weeks (in particular the new aerodynamic kit) have certainly improved the competitiveness of the team and Alonso was highly emotional after qualifying in second. He would have grabbed a shocking pole but the Spaniard is more than pleased to start ahead of his old team McLaren on the grid. Even his team-mate Nelson Piquet put in a superb performance by qualifying in the top ten for the very first time this season. The Brazilian will line up in tenth position behind Mark Webber’s Red Bull, Toyota’s Jarno Trulli and Nick Heidfeld in the other BMW Sauber (seventh, eighth and ninth respectively). The Spanish Grand Prix on Sunday will be a fascinating contest to see who is running what on fuel strategy. Are Renault running light or have they got genuine pace to match Ferrari, McLaren and BMW? Can Kimi score his second victory? Will we see a fight back drive from Lewis? We will find out this and more in tomorrow’s race at the Circuit de Catalunya. Two years ago, I attended a charity gig to see Goldfrapp performing at the majestic Royal Albert Hall and it was a stunning night. Fast-forward to this year and with the group’s latest album Seventh Tree doing well in the music charts, it was a great pleasure to experience the wonderful and cool sounds from the talented Alison Goldfrapp live in the Southbank. Even though there was a problem with bad sound at the Royal Festival Hall, it was a fantastic night out to see Goldfrapp performing a range of great tracks close up – I had a great seat at the front row. From the crowd favourite and clubbed-up powerhouse that is ‘Strict Machine’ to the sublime and provocative ‘Paper Bag’, Alison was on fine form entertaining the crowd with great enthusiasm. The highlight was of course ‘Happiness’ and each member of the audience was given a kazoo to play along! Back in March 2007, I posted on my blog that I wasn’t that interested in the PlayStation 3 as it was too expensive and didn’t have that many games. Well, after a year of waiting for the price cut and a certain “real driving simulation”, I have finally purchased the new Sony game console. Sure, it doesn’t support the backwards compatibility to play PlayStation 2 games like Okami, Grand Theft Auto: San Andreas and Metal Gear Solid 3: Snake Eater, but at least I didn’t have to pay over £400 to buy this advance machine. Okay, it has a smaller hard drive than the 60GB model – that can also play PS2 games – but I feel I made a wise choice in buying one as there are some decent quality titles coming out on this system in 2008. 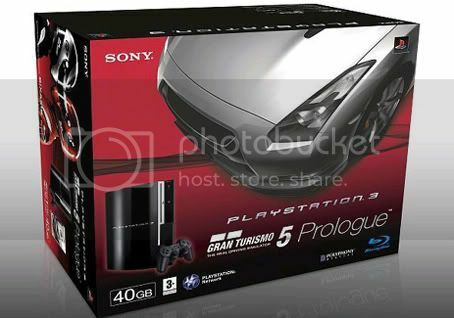 The first of which is Gran Turismo 5 Prologue. It maybe a demo offering a slight glimpse of what the real game will be like with hundreds of car manufacturers, real race tracks from around the world and at last, damage mode – but the fact that this game showcase the potential of the PS3 with high definition visuals and sound means I am genuinely excited by this next gen video game console. The PlayStation 3 uses the Blu-ray disc media that is now the definitive choice for high definition viewing – though I won’t be spending my cash on purchasing the same films to have a rich and nice display. I believe Konami’s tactical espionage action game that is Metal Gear Solid 4: Guns of Patriots will be the biggest hit for the PS3. From scanning those stunning screenshots and digesting every bit of information about Hideo Kojima’s stealth-based video game, I am genuine excited to play it. For the time being, I will make do with the racing games I got for the system with the likes of Formula One Championship Edition and MotorStorm to fulfil my need for speed. After two non-finishes Ferrari’s Felipe Massa answers his Formula One critics with a flawless victory at Bahrain, leading his team-mate Kimi Raikkonen to the chequered flag. The Brazilian had been under pressure to perform after his race-costing errors in Melbourne and Sepang, so this latest race victory – his second in succession at the Bahrain International Circuit – has kick-started his title ambitions. The Brazilian was the fastest driver all weekend and was unlucky to miss out on pole position, but Massa made amends by scoring that all important ten points. 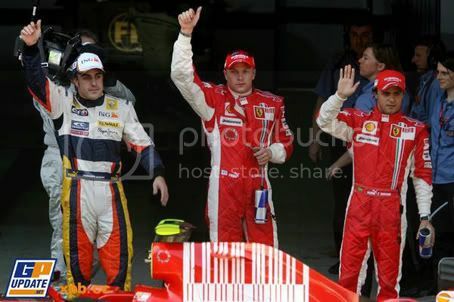 World champion Kimi Raikkonen finished in second position beating pole sitter Robert Kubica in the BMW Sauber. 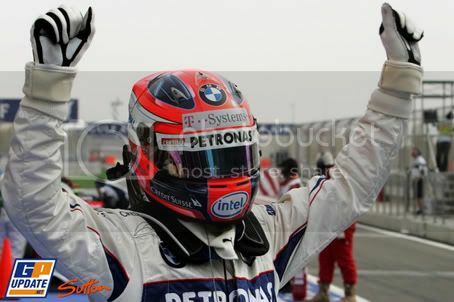 The Iceman made a pass on Kubica on lap three but didn’t have the speed to challenge his Ferrari colleague for the win. Despite this, Raikkonen now heads the drivers’ title standings after a disappointing race for Lewis Hamilton in the McLaren. Whatever the true reason – we need to look at the telemetry from Alonso to discover the cause of the incident – it was a set back for Lewis in terms of keeping hold of his drivers’ championship lead. With Raikkonen finishing in second in a Ferrari one-two, the Iceman now heads the title race by five points. Later on, the British pair managed to collide with one another after trying to make up lost time. Button criticised his friend DC for moving across on him in the braking zone. Jenson took avoiding action but ended up hitting the Red Bull! It was a disappointing end for the Honda driver after his great performance in qualifying but at least the RA108 has the speed to keep on tabs with the Formula One grid. This gives confidence to Jenson and his team as they seek out more performance in the next couple of races. BMW Sauber didn’t take the opportunity to turn pole position into race victory but at least the team are now heading the constructors’ standings thanks to Robert Kubica and Nick Heidfeld finishing in third and fourth respectively. That elusive first race victory will have to wait for another day. It was a frustrating weekend for McLaren with Heikki Kovalainen finishing in a lonely fifth and team-mate Lewis Hamilton in P13. The MP4/23 was off the pace and the Woking team will need to rediscover that winning formula to regain that lost ground in order to challenge rival Ferrari in the remaining rounds of the championship. Toyota’s Jarno Trulli continues to impress with another points finish with sixth, confirming the great progress made by the Japanese squad over the winter. Mark Webber finished in seventh for the second race running in the Red Bull, beating Nico Rosberg’s Williams during the first rounds of pit stops. Rosberg was the last point scorer with eighth. Even with Felipe Massa winning the Bahrain Grand Prix, team-mate Kimi Raikkonen now heads the drivers’ standings with 19 points, ahead of Nick Heidfeld on 16. Hamilton, Kubica and Kovalainen are on 14 with today’s race winner on 10. In the constructors’ chase, BMW Sauber leads with 30, ahead of Ferrari on 29 and McLaren on 28. The next stop is Barcelona in three weeks time. Ferrari are the pace setters in this year’s championship and BMW – not McLaren – are chasing them for glory. Can BMW scored that dream result and can McLaren strike back? Find out at the end of the month at the Circuit de Catalunya. NEXT ROUND: Spanish Grand Prix, Circuit de Catalunya. April 27. Robert Kubica took his and BMW Sauber’s first Formula One pole position, upstaging Felipe Massa in the Ferrari in the final moments of qualifying. Kubica beat the pre-race favourite Massa by a small margin of less than three hundreds of a second to take his debut pole slot at the Bahrain International Circuit. The Polish driver now has the perfect opportunity to win his first race by being at the front of the 22-car pack thanks to his impressive performance in qualifying. If he can do this, it will be a wonderful result for Formula One, the driver and for the BMW Sauber team. Felipe Massa seemed disappointed to line up in second place after setting the pace in all the sessions leading up to the top-ten shootout in Q3. To miss out by 0.027 seconds was unfortunate but the Brazilian should be feeling upbeat, as the Ferrari is the fastest car on the track. In addition, he must answer his critics with a race victory after two non-finishes in Melbourne and Sepang, so beating Kubica will be the ideal way of showcasing that he has the potential to challenge for the world championship. Leading the title race after two rounds is Lewis Hamilton and despite his crash in second practice on Friday, the McLaren driver did well to qualify in third place. His main contender for the drivers’ crown – Kimi Raikkonen – could only manage fourth in the Ferrari while Heikki Kovalainen, in the second McLaren Mercedes, lines up fifth on the grid. Nick Heidfeld couldn’t replicate his team-mate form in qualifying and will line up on the grid in sixth, 0.6 seconds adrift from pole… Jarno Trulli continues his strong qualifying performance in the Toyota with seventh ahead of Nico Rosberg in the Williams. As for Jenson Button, the Honda driver managed to pull off a major achievement by taking part in Q3 and recording the ninth fastest time. His performance was made even sweeter as he will start in front of a double world champion – Fernando Alonso – in the Renault! So with Robert Kubica up front, can the Polish driver translate his pole position into race victory? It will be a wonderful achievement for Formula One but I have some doubts if the BMW Sauber can keep up with the pace against the might of the Ferraris and McLarens. In addition, what fuel loads is Kubica running in the first stint of the race? 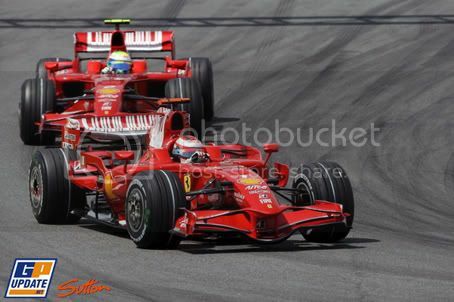 My best bet is that Felipe Massa will pass him during a round of pit stops to take the lead and the chequered flag. The Brazilian needs to record a race win to kick-start his title challenge and silence those Formula One critics after two non-finishes. As for Lewis, he can continue scoring points by beating Kimi Raikkonen to the flag and extending his points lead in the drivers’ standings.